Garden Tower Project > Lifestyle > GMO-Free: or IS it? The debate around genetically modified organisms is intense this year as the activity surrounding labeling laws heats up. GMO technology has become pervasive in our world and its impact on our food supply gets most of the attention. Is your food safe or isn’t it? Whether or not you believe GMOs are dangerous, the majority of people agree we need to have an option to know whether the food we buy contains them. And this is where GMOs get even more confusing. Many companies voluntarily label their foods GMO-free. Others don’t. 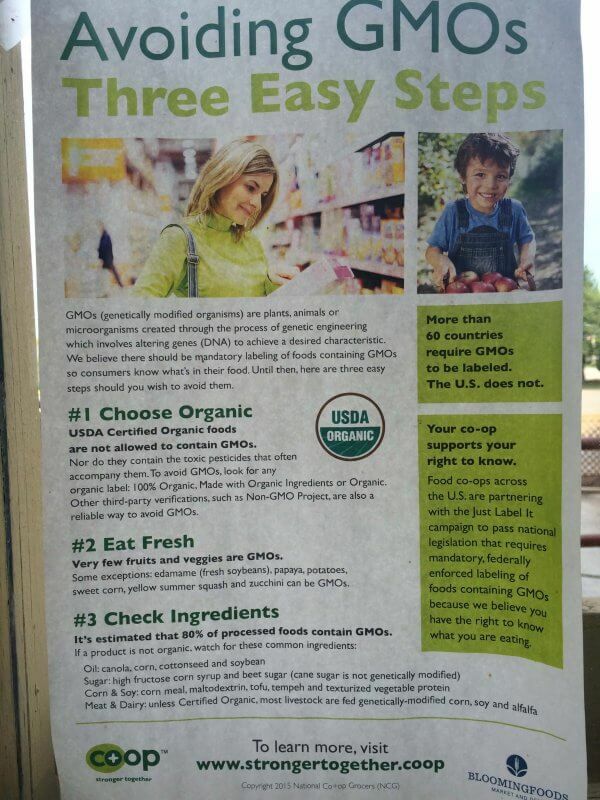 “As USDA officials have said repeatedly: “Organic certification is process based. That is, certifying agents attest to the ability of organic operations to follow a set of production standards and practices which meet the requirements of the Organic Foods Production Act of 1990 and the [National Organic Program] regulations . . . If all aspects of the organic production or handling process were followed correctly, then the presence of detectable residue from a genetically modified organism alone does not constitute a violation of this regulation” (emphasis added). This policy is probably intended to protect the investment farmers have made in certifying organic and the value of organic as a label. It also means that due to genetic drift, or other means, organic food may have GMO “residue” in it. Miller and Kershen go on to point out the issues with certification and accountability with organic certification programs. Among their points, they report that there are only two conditions under which organic produce can be tested. The first is if the farmer is suspected of intentionally violating organic standards. The second is that five percent of the operations certifiers work with are tested annually. The authors’ bottom line is that eating organically doesn’t guarantee your food is free from GMOs. They seem to miss the point that farmers choose not to use materials like synthetic fertilizers and pesticides that will compromise their certification. This means the food is not sprayed with synthetic toxins and that natural, organic substances are used. In addition, growers are becoming savvy to dealing with genetic drift by using measures like planting corn earlier than GMO corn is planted so that pollination times are staggered. Does this mean throw out the value of eating organically? By no means! Becoming more aware about the concerns surrounding food safety and helps us understand why we want to buy and eat certain foods—or turn more towards growing our own. This entry was posted in Lifestyle and tagged food, food water energy nexus, GMO, health, sustainble agriculture.